Friedrich A. v. Hayek Institute is happy to announce that Peter Thiel is the next recipient of the 2015 Hayek Lifetime Achievement Award. This prestigious award is bestowed annually by Dr. Barbara Kolm, the Director of Hayek Institute. The prize was designed to acknowledge the most outstanding contributions to Liberty and had been conferred since 2010. Previous recipients were Mario Vargas Llosa, Niall Ferguson, Leonard Liggio, Dambisa Moyo, and Deirdre McCloskey. Peter Thiel is one of the most prominent tech entrepreneurs. He was a co-founder of PayPal along with Max Levchin and Elon Musk and had a number of successful e-projects, like Palantir specializing in data analysis. In 2004 Peter Thiel became the first outside investor in Facebook and had been holding a position of a Member of the Board of Directors ever since. Peter Thiel has been an angel investor in many startups and, in search of new talents, created Y Combinator, a business incubator that unlocks the full power of newly established companies. Under direct supervision of Y Combinator, such companies as Dropbox, Reddit, Weebly, Airbnb and many others received business advice and mentorship which swiftly brought them to international recognition and prosperity. Thiel’s Founders Fund, a venture capital company specializing on breakthrough innovation and technologies, served as an investor at Spotify, ZocDoc, SpaceX, Quantcast and many others. 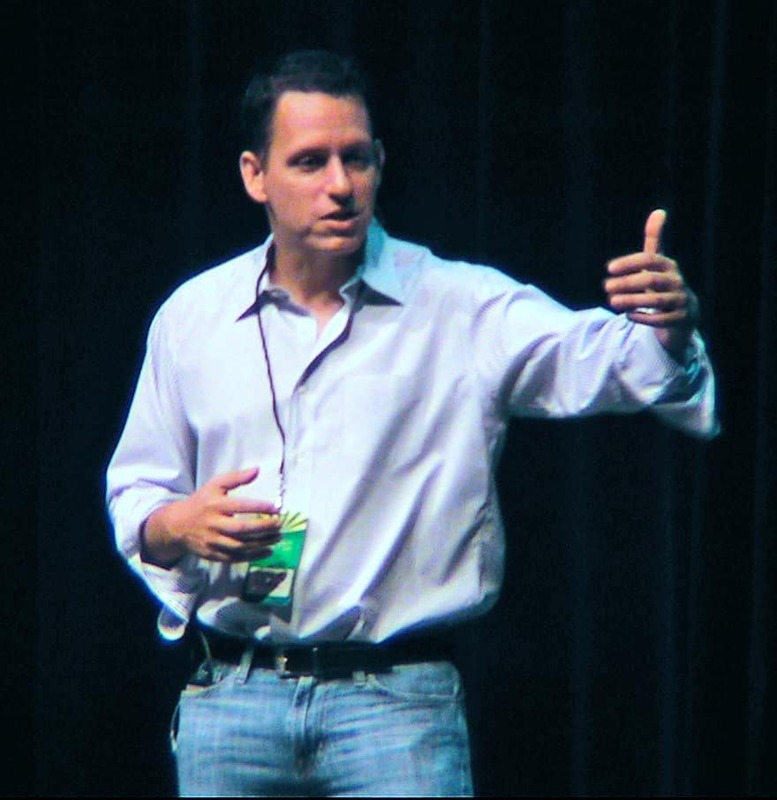 In 2013 TechCrunch nominated Peter Thiel as the venture capitalist of the year. Peter Thiel is an author of a number of books and is also involved in philanthropic activities. “Zero to One: Notes on Startups, or How to Build the Future” written by Thiel, became No.1 New York Times bestseller. Mr. Peter Thiel will receive the 2015 Hayek Lifetime Achievement Award on November 10th in the Palais Liechtenstein in Vienna during the Annual Charity Gala of the Friedrich A. v. Hayek Institut.